Amazon.com revealed cover art for the latest reprint of John Pearson’s James Bond The Authorised Biography (pictured right). The Young Bond Dossier confirmed that Titan Books upcoming classic comic strip collection, Shark Bait, in addition to the eponymous strip, will also include “Doomcrack” and “The Xanadu Connection”. 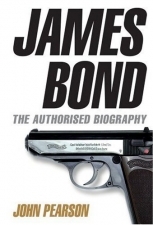 Bond and Beyond is claiming that the first Young Bond graphic novel, SilverFin will be due out on May 1, 2008 in time for Ian Fleming’s Centenary. In other news YBD discovered listings for a pre publication poster and a Hurricane Gold events kit at Amazon.co.uk. 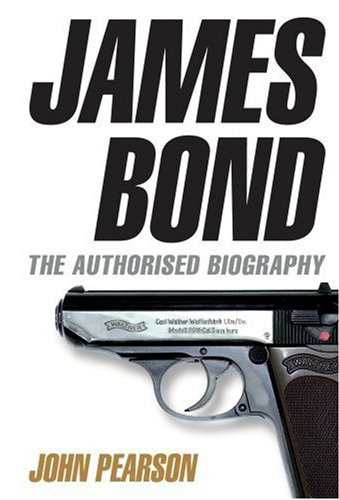 Additionally in YB news, YBD reported a rumor that Alex Rider novelist Anthony Horowitz was originally asked by IFP to write the Young Bond series of novels. (Personally, I think it’s BS, but who can say…). Reuters is reporting that Martin Campbell is attached to direct 36 a 2004 French-language thriller remake for Paramount Pictures. This is in addition to Fox attempting to court Campbell for Unstoppable. He seems to be in big demand after Casino Royale’s success. Unfortunately for Bond fans this has to pretty much rule him out as a director of Bond 22. Shame. Yesterday (June 12) marked the 40th anniversary of You Only Live Twice on the big screen. For coverage of that see both CBn and MI6.